Based on outward appearances alone, I can only imagine the number of people who have overlooked (and missed out on) the gem that is Yama Seafood. Hidden in plain sight along Las Tunas Drive in San Gabriel, the well-worn entrance doesn’t exactly scream pristine fish. The inside isn’t much different; on the left are shelves of products – soy sauces and noodles and sakes – and on the right a display case, glass permanently clouded from decades of usage, exhibiting pieces of tuna, salmon, and yellowtail. There’s no menu or instructions on how to order, but if you’ve lasted this long the rest is easy. Simply wait until you’re acknowledged, perhaps by Mr. Yama himself who regularly mans the counter (his wife handles the register), and point to a silvery slab of yellowtail or a soft, pink rectangle of toro, and ask for it to be cut into sashimi. 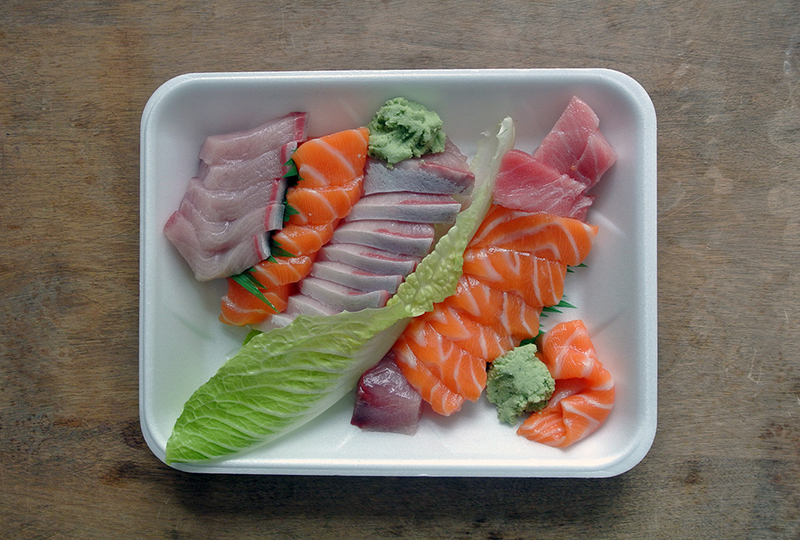 Mr. Yama takes his time slicing each order, but within a couple of minutes he’ll hand you a styrofoam tray of simply arranged, medium-thick slices of fish at a ridiculously low price. It’s understandable if none of it makes sense, but as you cautiously shuffle to the register in the back of the market, pre-packaged California, spicy tuna, and salmon avocado rolls appear. Make a point to grab one, they’re absolutely worth it, and proceed to pay. Both selections of fish tasted fresh and were clearly cut with care. The yellowtail displayed a nice bit of that fishy oiliness to it, while the salmon was soft and buttery. Mr. Yama also added in a few chunks of toro which were also quite good. My love of sushi started with the California roll, so no matter how snobby I get it’s unlikely for me to turn a decent one down. Here they were better than decent, the key being the tiny pops of masago that complimented the creamy crab and avocado. I don’t know how long it had been sitting there, but the rice wasn’t at all hard or gummy, like other take-out or pre-made sushi. 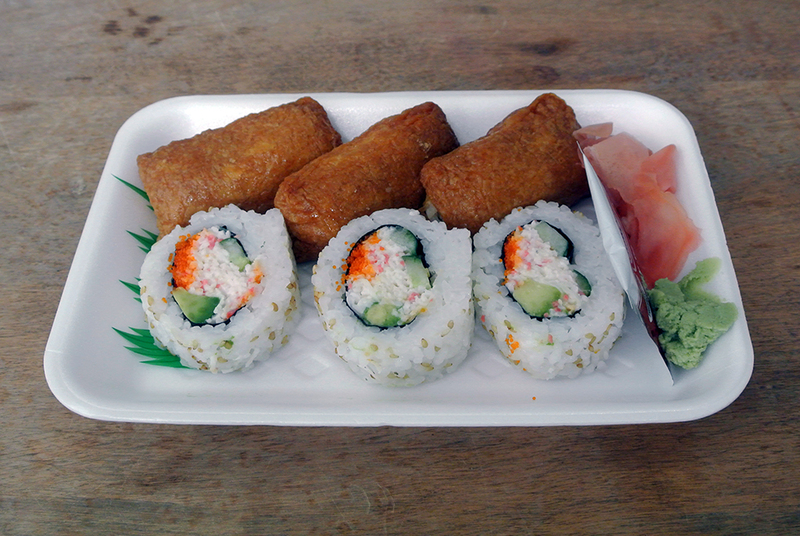 The inari also benefitted from the quality of the rice, a perfect match for the sweet, spongy pouches of fried tofu it was stuffed into. Despite their small size, I thought the unagi rolls were the perfect ratio of eel to rice, and weren’t over-sauced (if anything people might gripe they were under). 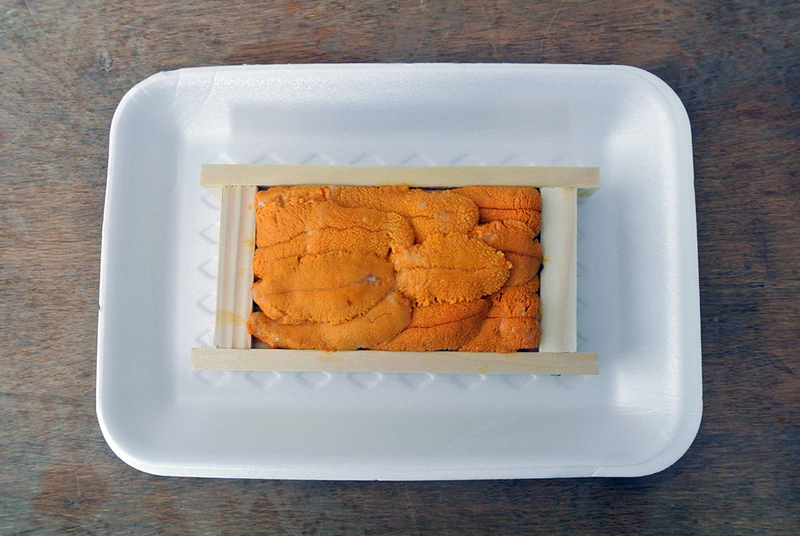 Unagi fans wanting to supplement an order of sashimi will be definitely be satisfied. I found the uni to be just ok, understandable I guess given the price. The consistency was there, but the urchin just didn’t deliver the lush flavor I was hoping for. A few of the lobes had white specks on them (perhaps from being defrosted) but didn’t seem to have any adverse taste. 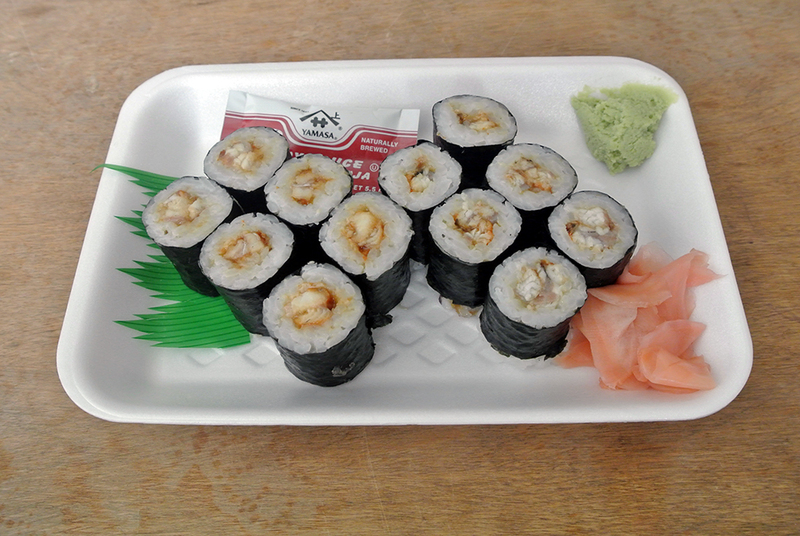 Any real sushi lover has their cravings, not all of which can be cured by the finest sushi bars every time. In those instances where your stomach is saying yes but your wallet is saying no, a place like Yama Seafood is the perfect compromise. The sliced-to-order sashimi and neatly made rolls are better than at a comparable place like the nearby Mitsuwa market, plus who doesn’t like to support local small businesses whenever possible. 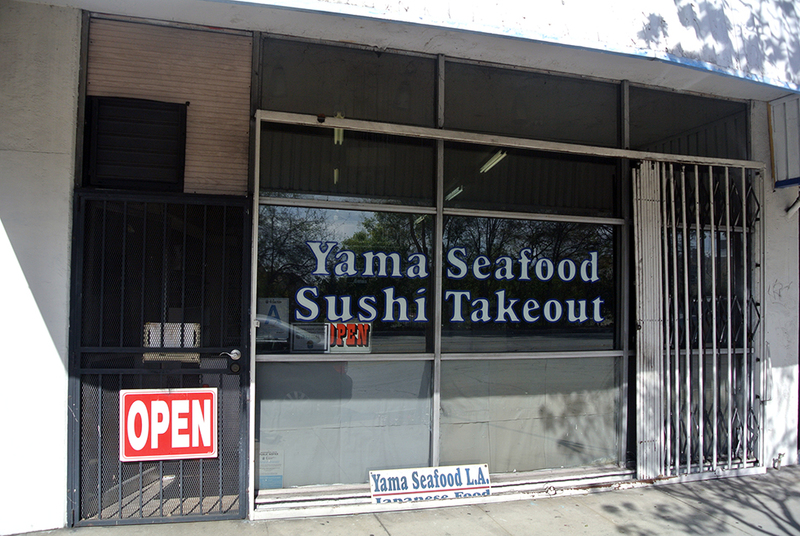 With low prices and high quality, Yama Seafood does the job.